The chemistry between Clark and Eva was perfectly written and getting a few chapters that included Clark’s perspective of his growing feelings for Eva as well as the mounting concern from the communications room added to the slowly growing tension. The tension of the impending conflict slowly builds as the ship gets closer to Oahu and quickly erupts as the dawn breaks on the day of the Pearl Harbor attack. The pace takes off making the story feel more like an action novel, and it some ways it is. And yet I was most impressed with the quiet strength that Ackerman wove into the female characters that had me cheering. The writing was beautiful even in the midst of carnage. Sara Ackerman has crafted a truly beautiful story of resiliency, love, and friendship with just a dash of intrigue. 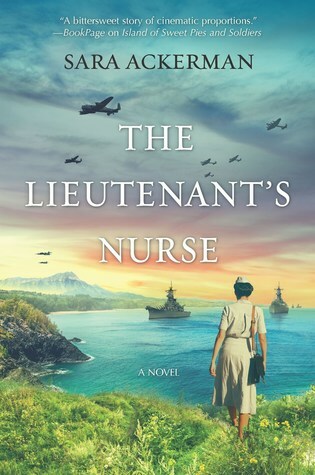 Sign into Goodreads to see if any of your friends have read The Lieutenant's Nurse. 47.0% "LOOSE LIPS SINK SHIPS you harpy!"